PUBG Mobile vs PUBG Mobile Lite:Hi guys,welcome to brand new article.if you are looking for an article where you will know all Differences Between PUBG Mobile & PUBG mobile Lite,then you are at right place. Guys today in this article i will do full comparison between PUBG MOBILE vs PUBG MOBILE LITE. Although the game does not need any special introduction.Because today everyone knows about PUBG. However,PUBG popularised the Battle Royale Games.The PUBG hype hasn’t faded away and is not expected to anytime soon. This is because Tencent has made a small version of Official PUBG Mobile. Tencent is looking to court more users with the release of PUBG Mobile Lite for entry-level and low-end smartphone users. It is giving all kinds of Android users a chance to try the phenomenal battle royale experience. However,PUBG Mobile Lite is only available in Philippines and Brazil but Indian Gaming Community managed to run this version of game in low end devices in India using VPNs. Every day in India some youtubers tries to give their subscribers a new VPN. (Some Youtubers are:The Aman Tips,Roid Razer,Helptricks etc). Now without further ado let's start talking about PUBG Mobile vs PUBG Mobile Lite. If we will look at PUBG MOBILE there are 100 players in a Battle Ground .If You will survive till end in PUBG MOBILE it will took 40-45 mins to complete one match. On the other hand In PUBG LITE there are only 40 players in a Battle Ground,among 40 players 15 are bots.If we will look at Match complete time in PUBG Lite it tooks 15-16 mins if you will survive till end. The big difference among the two versions of Game is APP SIZE.The official PUBG Mobile game is around 1.8GB, the lightweight version comes in at a relatively meager 338 MB in size. So if you want to install light version in your low end ,you will not face any problem. 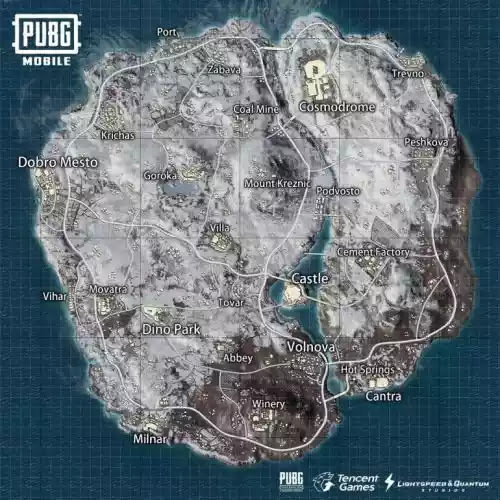 In PUBG MOBILE you will see all the maps which are in PUBG PC .It features Erangel, Miramar, Sanhok and the brand-new PUBG Map Vikendi. On the other hand,if we will look at PUBG LITE there is only one map which is small part of Eangel .The size of map in PUBG Lite is 2 km×2 km .Which is much smaller than Official PUBG MOBILE. In Official PUBG MOBILE you can see that the graphics are amazing.Also there is Option to change the graphic quality .You can set graphics according to your device quality. PUBG LITE version features a slight drop in the graphical content . The Graphics are Low as compared to PUBG MOBILE.The low graphic is obvious because of the optimizations for entry-level phones with under 2GB RAM. 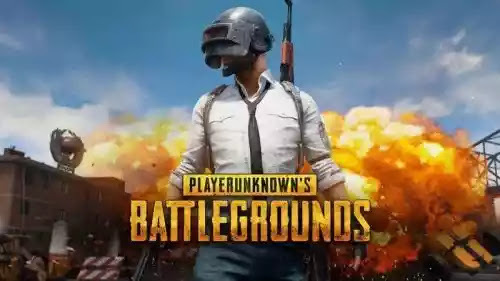 However, despite the drop in graphical content, the core gameplay of both the titles is largely similar, which ensures that players do not miss out on the PUBG experience no matter what version of the game they're playing. In Pubg Lite version the graphics has been set default to Low and also the Graphic setting has been also dropped.If you want to improve graphics in PUBG LITE you can use “gfx tools” to enjoy the good graphics. In comparison to PUBG MOBILE,Lite version has too much low features ,in Lote variant we have solo,duo,squad modes in TPP view with one classic mode which is enough for low end devices. 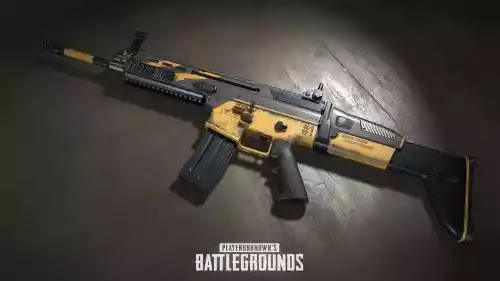 Also in Lite version tencent has recently added arcade mode ,may be in future they will add many modes.However,we hope they will also add weapon skins, and they added Royale Pass season 2 in a recently update. 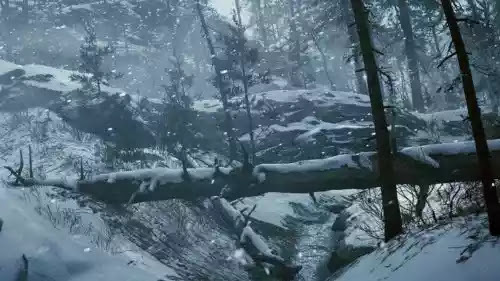 The gameplay in both variants is same.where you jumps from an aeroplane and after landing you starts to find loot and emerge enemies to be the last man standing in the Battleground. 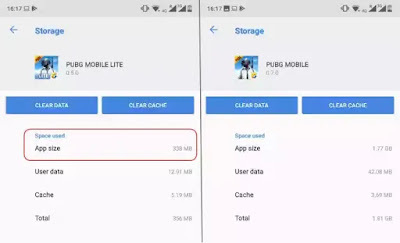 Pubg Mobile Lite is low in features as compared to Official one but the gameplay is same. The servers are well optimized and I’ve been getting pings in the range of 170-270ms on the Asia server, even on a VPN. So, Tencent is using its experience from PUBG Mobile to efficiently manage server loads this time around. I know in PUBG LITE you have to face too much lags but this is because the Lite Version is not available in India. Everything looks good to me in PUBG Mobile Lite and I feel budget device owners will be elated to finally be part of the battle royale tribe. When is the India Launch? As for an India launch, we can expect it to happen in the coming weeks as Tencent has confirmed that it is currently testing and optimizing PUBG Mobile Lite for Indian networks and devices. So finally in this article “PUBG Mobile vs PUBG Mobile Lite” we talk almost about everything from “Number of players to Game experience”. We may have dropped some of the points but you can comment down below about those and we will add all these in this article. 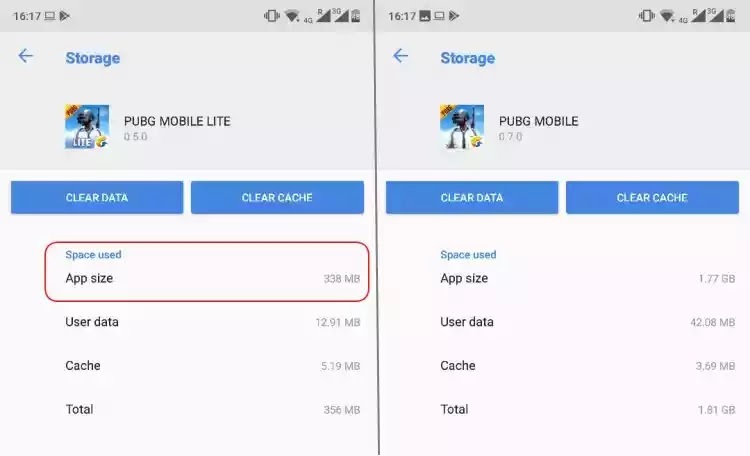 I hope you this article was very helpful to those who were searching about “PUBG Mobile vs PUBG Mobile Lite”. Also Don't forget to share this article with your friends so that they will also know about all the Comparisons between PUBG MOBILE & PUBG MOBILE LITE. ● Top 5 Best looting places in Pubg Vikandi Map. ● Get free Scar-L skin. 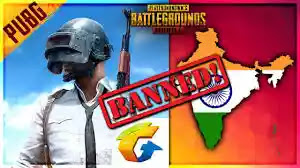 ● will pubg Banned in India. ● Pubg Mobile Vikandi Map Response from community. How To Get Commando Title in Pubg Mobile Easily: Hi guys,if you want to achieve commando title in Player’s unknown battleground easily then you are at right place. PlayerUnknown battleground [PUBG] has various Achievement titles for players, some of them are easy and some of them are too much tough to achieve.The achievement titles are only exclusive to the mobile version of PlayerUnknown's Battleground and is quite fun to get. Among all these titles in PlayerUnknown battleground Mobile some of the titles like Commando, Maxed Out, Well Liked and Overachiever are quite easy to get, though may create problems for some players. To get the commando title you have to win 50 Solo Matches while in Platinum Tier or above and not equipping any helmets, vests or backpacks. So in order to get Commando title in PUBG Mobile you need too much patience and time as well.If you want to get this title in one time then i would like to say that it is impossible. To Achieve this Title to need not to pick up all those items which i have mentioned above,because by picking up those items your all progress will be wasted.So as i mentioned above you will need too much patience. I will recommend you only one Gun which will help you a lot,M416 Is stable as well as this gun requires fewer bullets to kill your enemy.Also you should do too much camping ,you have not to reveal your position fast. And the interested thing is that you have to shoot enemy when necessary ,Always remain aware of your goal. Because this is not easy task.If you will reveal your position too fast,I promise you will not get this TITLE at all. I hope this ”How To Get Commando Title in Pubg Mobile Easily“ article will help you a lot.If you have any Query or Doubt then don't forget to comment down below. 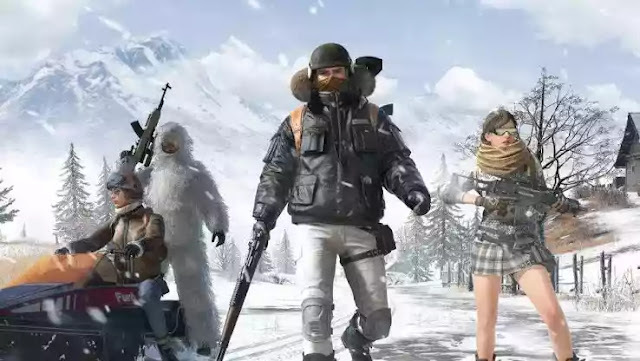 Top 5 Best Looting places in PUBG Vikendi Map: Hi guys if you are looking for Top 5 Best Looting Spots in PUBG Map Vikendi Then you are at right place. Those who started to play this game recently then let me tell that this map is tough then the two popular maps Erangel and Sanhok.In order to survive and get chicken Dinner every time in this map then you need best loot always. 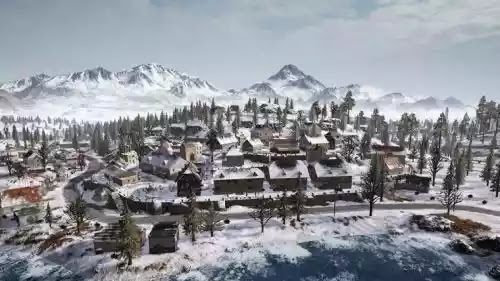 In Vikandi some of the places are Full of loot but in some places you will not found anything without a pistol.So to avoid this problem of not getting a loot .Read this article carefully,if you want to know about Top 5 Best Looting places in PUBG Vikendi Map. Will Pubg be banned in india? How to get free scar-L skin. Pubg Mobile Tips to survive long in Vikandi Map. 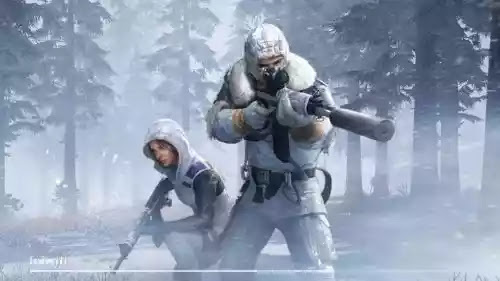 Cosmodrome is a hotspot location in PlayerUnknown's Battleground Mobile snow map Vikendi. This place has the great amount of loot and fight available for you all which makes it a good spot to drop. Though Villa is not that big spot, it boasts of some good loot at short range(closer loots). Villa is good choice for someone who wants some kill and is good at parachuting, as at the Villa if you land first then you will have an upper hand at the location. Podvosto is also a good spot with a decent amount and quality of loot. Podvosto is a drop location somewhat similar to Pochinki In Erangel. Goroka is a beautiful place to drop, good loot enough building for cover and a beautiful location with a frozen lake. Volnovais yet another good spot with vibes similar to Pochinki, though I would suggest that you should better drop one or two times and explore all the buildings and locations as the sheer amount of high building and windows might be a problem if you are new to the location. Top 5 Best Looting places in PUBG Vikendi Map: I hope this article will help you a lot to get best loot in Vikandi and Get CHICKEN DINNER in every match.Also if you liked this article then don't forget to comment down below to tell me your suggestions regarded these places .